Fine art photography is like a great poem, it’s a feast of thoughts and reflections that reminds us to live extraordinary lives. The touch of your grandfathers hand. The deepest truth in your lover’s eyes. A silent gasp from your best friend. Uncontrollable laughter. Dancing barefoot. Sketches of red, pink, and blue across the sky. As artists during your engagement and wedding we are there to be your visual storytellers. Our approach is pure: to celebrate the love between you. We know that our best images come when we are moved while working with you. We will build trust with you by getting to know you and want to communicate with you like we do with our friends. We invite you to fall in love all over again. With this approach we find beautiful spaces to capture your story with our creative composition and lighting expertise. The preview is truly gorgeous. We are beaming with gratitude that we got to have you with us for such an incredible experience. We LOVE the photos and we LOVED getting to share this with you. Our family has been with us all week. All of us spent time each day sharing about the weekend. We sat around looking at your photos at our big Thanksgiving gathering. We smiled at each dramatic and fantastic image. We are over the moon and have so much love for you guys! Thank you!!!! Thank you for being part of making our wedding day as special as it was. We simply can’t imagine it without you now, it felt like we had found lovely new friends who just happened to be taking amazingly artistic photos. It felt so natural that you were there. Thank you for making us so comfortable, for all that you did on top of everything: helping with chairs, organizing, putting nice music on to create a lovely mood, offering advice and everything in between! You made us feel so blessed on the day and as we look back on it and in general we both feel blessed most of all to have made such great friends, and to have shared one of the most significant days of our lives with you felt so natural. Than you for the art, the laughs, the help, the advice and the care. Here’s to more fun times ahead! Thank you for all the hard work and dedication you put into our wedding photos. We are so grateful and happy with the way they turned out. Gorgeous and unique! It was such a pleasure to have you in Italy with us, we know everyone really enjoyed meeting the two of you! You guys make a great team! You guys are amazing!!! I honestly love every picture and relive the moments every time I look at the beautiful shots you guys took of the best day ever for us!! Jos & Tree… Thank you so much for capturing our wedding so beautifully. The photos are absolutely stunning and we are so grateful to have had you there. It made the whole day such an awesome experience. Please come visit us in Australia some time! You will always have a place to crash and a pair of location scouts at your disposal! I want to extend a sincere thank you not only for being amazing photographers (I already knew the photos you delivered would be other worldly!) but for being such thoughtful people. From the words of advice you gave us in the planning session to day of care. Tree – your advice on holding the bouquet so that it isn’t up my nose:) to caring about me wearing my jacket when Jos was really determined to get a shot 😀 (btw I wish I had worn that jacket less now that I see how lovely the dress looked!). Jos – having Jeff & I stand on that beam in Timberline nose to nose and to have us repeat the “I fell in love with you because” brought out so much love. This specific moment is one of the best I’ve felt in my entire life. I can’t thank you enough for giving us that. That photo where you see the entire room and we’re just 2 shadows in the window.. it brings it all back. In fact I’m getting tears in my eyes right now as I type this! It was so meaningful for you to give us that experience. You two are much more than just amazing artists. I can’t speak highly enough of what you gave us! And those photos will be passed on for generations. Thank you for doing what you do and I hope we can work with you again someday down the road. There was never a question about what beautiful artistry you were capable of, but getting to see our magical day captured with such perfection is a gift I will treasure always. Not a single person who has seen your shots has not commented on how they are the best wedding shots they have ever seen, and I couldn’t agree more. You were so wonderful to work with, both Daniel and I loved seeing your passion for your art and your work. We were honored to have you be a part of that day, and are full of gratitude for the continuing gift of these images…and I am speaking only of the first wave I have seen! So thanks again, you are lovely and captured the magic of those moments so beautifully!!!! The customer service and the amount of attention that Jos gave us was incredible, and the pictures were even more amazing. We mention the customer service first because we were taken back by how much Jos made us his friend rather than a customer and on a day like our wedding having an extra helping hand made a world of difference. Our guests took one look at Jos and Tree and said “those are some real professionals, where did you find them?” The pictures that he took are unlike any wedding photos we have seen; equally unique and creative, as they are spectacular. Jos and Tree are just as wonderful and amazing as the photos they take. While planning our wedding we were told that a good photographer was probably the most important thing. We made the right choice, they were absolutely the best! We wouldn’t have traded them for anyone, and were blessed to have them there. From the day we got engaged, I KNEW I wanted JOS to shoot our wedding! From our planning meetings, to our Lifestyle session, to the Big Day, (and about a million emails to them in between), they were both so passionate about their craft, and an absolute pleasure to work with. We just received our wedding portfolio and couldn’t be happier! These moments were captured beautifully and thoughtfully…we are so grateful for the talent of Jos + Tree. I love, love, love it JOS. You are so amazing! Jos’ work is nothing short of amazing. He has a great approach to the process, and makes you feel like a million bucks while he’s shooting (for someone who hates to have her photo taken, this was key.) We trusted in his vision for the various shots; he kept things going smoothly and got us through the post-ceremony family photos quickly. There were so many stunning shots from the day that four months later, I still can’t decide which is my favorite. I can’t say enough that this was some of the best money we spent on the wedding. He was also very flexible with our budget. Both my family as well as my husband’s family were absolutely ecstatic over the photos. To me, this is one of the most, if not the most, important decisions to make in the wedding planning process, and I don’t have even a shadow of regret that we went with Jos. He is amazing! JOS provided us with such an incredible experience beginning with our first phone conversation. He went out of his way to be flexible in several different aspects. The wedding day was perfect and we felt that each moment was captured in a way that reflects our personality and best tells the story of our wedding day! We already highly recommend him to friends! Whenever we view our wedding pictures, we are completely blown away all over again. JOS and his team do such amazing work! Out of all the vendors we booked for our wedding, and many based on the great recommendations we received from Bridal Bliss, JOS stood head and shoulders above the rest. We are so thankful he was part of our wedding day! We still recall the feelings we had when we first went to JOS photographers website (I think the intro is the same or at least similar), and said to each other, “wouldn’t it be perfect if we could get Jos to do our wedding.” And perfect it was. Thank you for sharing your talents with us, JOS. When we met with Jos and his fiance and assistant Tree for our lifestyle shoot in Cannon Beach, Oregon, my now husband was a little nervous. He is the typical guy who is not the least bit excited about having his picture taken. By the end of the day though, we were splashing through the water, and Jos used every bit of lighting he had until the sun went down and the very last shot was taken. Aaron and I had a wonderful experience and the photos were amazing. We flew Jos and Tree down to Palm Springs, CA for the wedding last month, and they helped us tremendously in finding a flight that worked for them and us, and that was also as inexpensive as could be. They really cared about us having the best overall wedding experience, with the least amount of stress possible. Our family and friends instantly loved them, and we were happy to not only have them capture our day, but share our day as our friends as well. JOS Photographers really made us feel like we were their priority. Even after the wedding, they have worked with us to get us the best photos we could imagine from our wedding day, edited beautifully and in a timely fashion. I look forward to receiving the album in the near future, and would love to work with them again, as well as recommend them to everyone I know. My fiance hired Jos to photograph his proposal to me. Jos and his team posed as nature photographers and were able to secretly capture the special moment in all of its beauty. Jos worked with my fiance for many months prior to the proposal, exchanging many emails and calls, Jos became an instrumental part of that special day. The photos were breath-taking, and Jos and Tree were an absolute pleasure to work with. In trying to decipher the long lists of potential wedding vendors, we were certain of one thing: Jos and his team were the only option for photography. Even though we live in Southern California, we did not even consider other photographers. We look forward to working with Jos and his team in June, when they will most certainly capture all of the beauty and emotions of our wedding day. Really couldn’t have asked for anything more. The album is such high quality and so beautifully done. You have captured so many wonderful moments that are so dear to my heart. It is hard to believe that it has almost been a year since that weekend. The pictures make it seem like yesterday. Thank you from the bottom of our hearts. 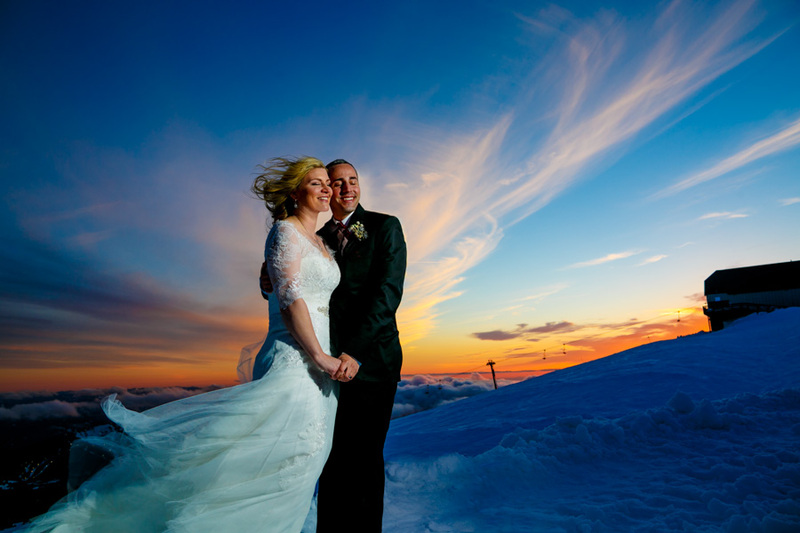 “JOS Photographers provided my wife and I with the best possible experience AND results. I have spent my career working in the design/fashion industry for one of the most well know and well respected brands in the world. I have art directed photo shoots with top photographers on Islands in the Caribbean to the streets of Rome, so when it came to choosing a photographer for our wedding… I demanded the best. First of all, Jos’s portfolio was stunning! With a wedding photographer you need someone who is technically cable to capture a variety of shots. Equally important is someone who can have the vision to thread together a holistic “visual” story of your wedding. Lastly, the most crucial quality I was looking for is a rare, intangible ability to authentically draw out human emotion within his work. From the pre-wedding planning, to the post wedding delivery of our photos Jos was always very thoughtful and we knew this was one component of our wedding that we didn’t need to stress about. If you go to his site (www.JOSphotographers.com) and click on “Moments”, you can view the work JOS Photographers did for our wedding.” Featured on the ultimate wedding blog Style Me Pretty. My wife only cared about one detail for our wedding: JOS. We had the good fortune to meet Jos at our close friends’ wedding in Portland. He instantaneously left an indelible impression on both of us. He exudes this incredible larger than life energy (in his iconic hat), fueled by his passion for capturing some of the most incredible moments of people’s lives. We flew out Josh and his wonderful partner, Tree, to our wedding in Scottsdale. We invited them to our rehearsal dinner as our guests — although we had only met once in person, and spoke a few times by phone, we felt as if they were a part of our family. Everyone thoroughly enjoyed getting to know these amazing and inspiring individuals. Our album arrived last week, and confirmed that having Jos at our wedding was simply the best decision we had made. We cannot stop looking through the album, page by page, chronicling the most monumental weekend of our lives. He captured our joy, our family’s emotion, and the overall spirit of our wedding weekend. We are forever indebted to Jos for his enthusiasm, vivaciousness, and artistry. Jos is an amazing photographer! Not only is he incredibly talented but he’s an absolute delight to work with. He radiates positive energy that is calming, wonderful and traslates to his work. He captures moments rather than images, that portray the beauty and emotion of your special day. Our album is a work of art that we will cherish forever. I would highly recommend him to any bride. My husband and I got married in the spring of 2009. After our first meeting with Jos we knew we had found our photographer. Jos was so wonderful to work with! For us it was really important that we found someone we could be ourselves around and someone who brought the best out of us. We were most impressed that he was able to work so well with our HUGE family! Looking back at our photos we can honestly say there wasn’t a moment that wasn’t caught on film. Thank you again for turning our wedding into beautiful pieces of art! Jos. I have been admiring your pictures on Facebook for over 5 years. They are truly remarkable. You are the Tiger Woods of your field. Seriously.